Marty Whelan and Sinead Kennedy launch the Donal Walsh live life national film competition 2018! Make sure you enter into the 2018 Donal Walsh Live Life Film Competition! Entry is now open! Watch the video for information! 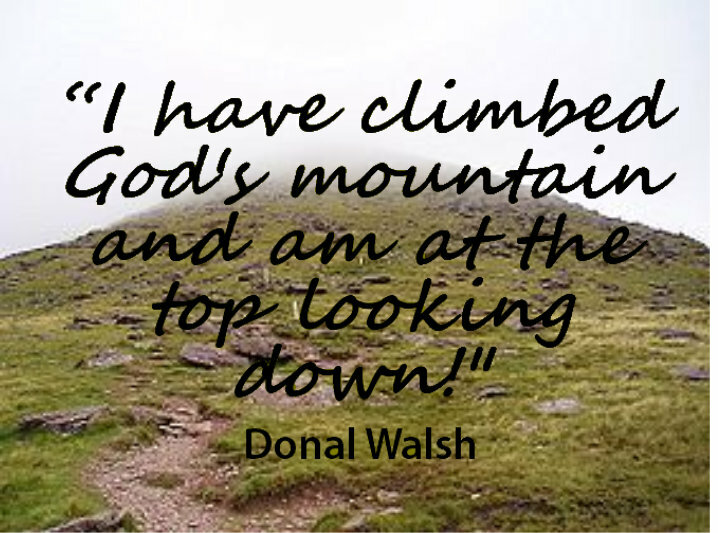 Join Donal’s Mom & Friends in climbing his Mountain on Sunday 24th September 2016 Following the pilgrim station route from An Bothar side Registration from 9:ooam Climb Commences 11:00am Light refreshments available afterwards. Registration Free contact 0877143016/0860773516 for sponsorship card. Helen at Lancôme with Special Guests Mary O Donnell, Elma Walsh & Majella Duignan of Curves Tralee are holding an Exclusive CHAT Event in store on the 11th of February. A great morning of makeup, style, health & fitness with Tea/Coffee & Pastries. Admission Free but Booking is essential on 0667121331 or message us here. In Tune For Life 2015! What a night!! The In Tune for Life Concert was a great success. Over 400 Musicians & Dancers took to the stage & blew us away with their talent. Click here for a sample of the talent on the night. Thank you to everyone who ran for Donal.